With Valentine’s Day just a few days away I’ve been busy getting orders out. I’ve also been experimenting quite a bit so that’s been taking up a lot of my time. I forgot just how much work it can be. But it’s a lot of fun and I really have missed it. 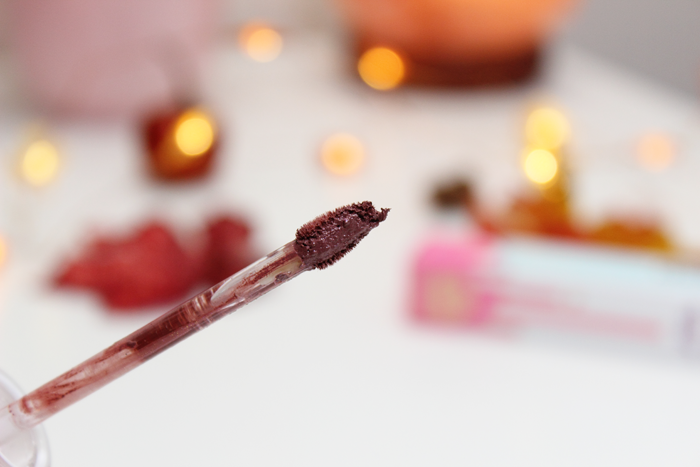 I’ve been thinking of sharing some photos of some of my treats here on Midwest Glam. Would anyone be interested in seeing some cute desserts? 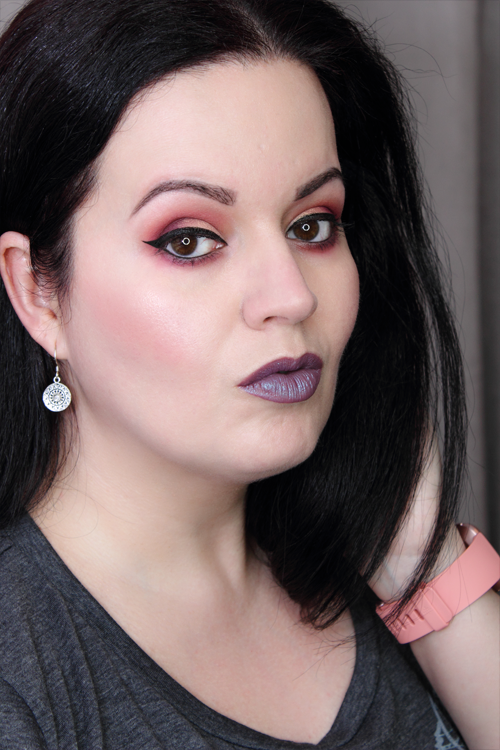 A few weeks ago I talked about how much I loved the Sugarpill Liquid Lip Color in Vertigo. Today I will be talking about Hijinx. Hijinx is described as a deep berry infused with multidimensional teal sparkles. It swatched and applied nicely. Once it dried down I rubbed my lips together to bring out those sparkles and boy did it pop! I thought Vertigo was really pretty with the teal sparkles, but Hijinx really steals the show. 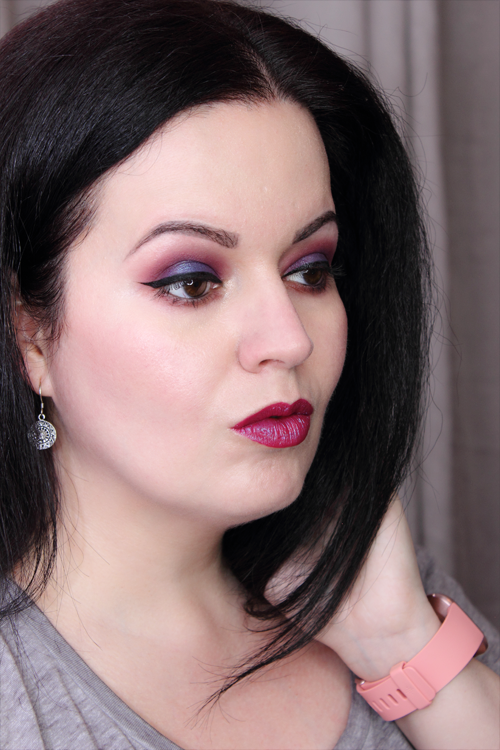 I wore it with a few different looks, but my favorite so far is paring it with the Natasha Denona Mini Lila Eyeshadow Palette. 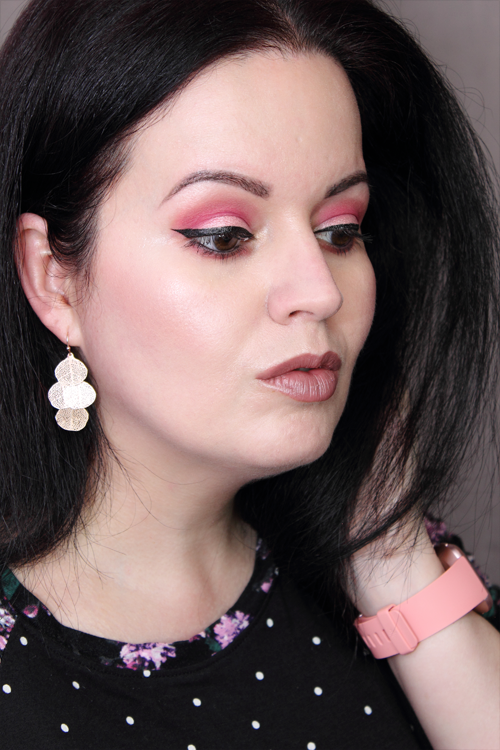 That’s a look I’ll have to recreate again for sure! You can see them both in action below. Overall, Hijinx was everything I expected and more! 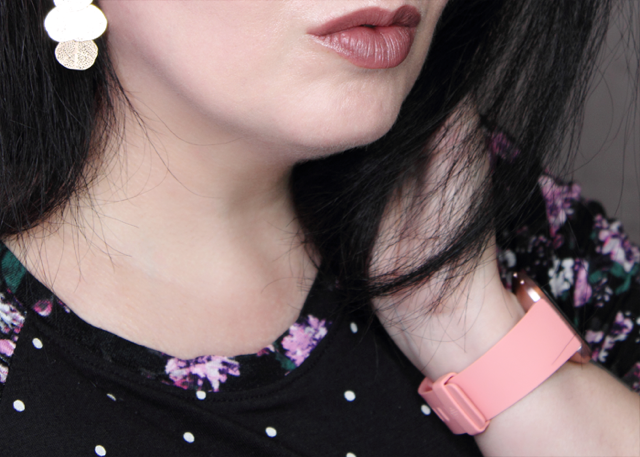 It’s a gorgeous shade that’s bold yet still very wearable. It did last quite a while, but you may need to touch up after eating and drinking. I’ll be reaching for Hijinx often. 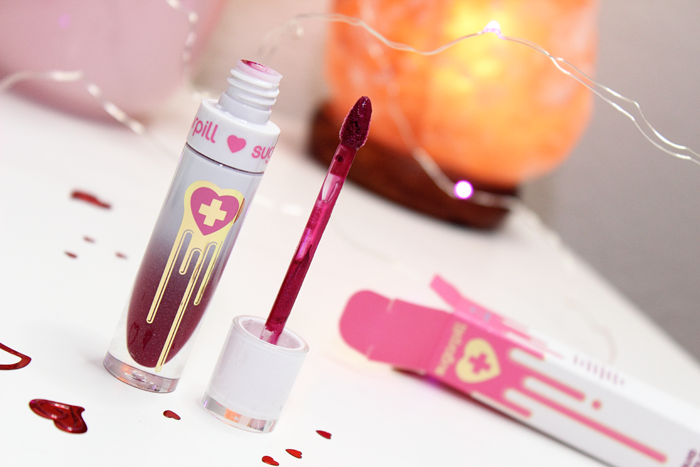 And speaking of Valentine’s Day, wouldn’t Hijinx make for the most perfect Valentine lip? What do you think of Vertigo and Hijinx? Which one is your favorite? 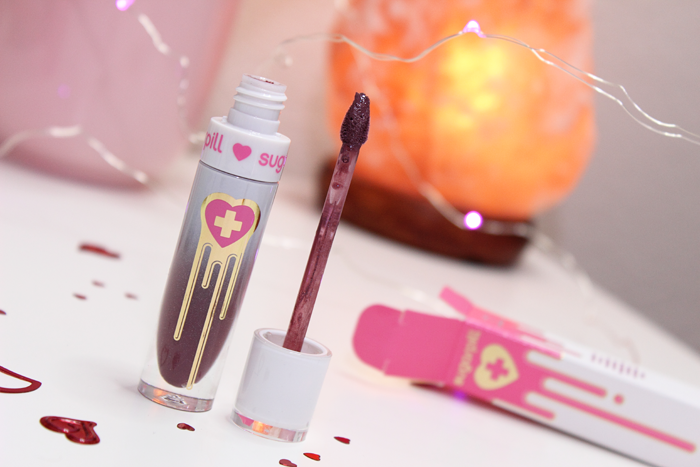 Sugarpill’s Liquid Lip Colors are some of my favorite liquid lipsticks. 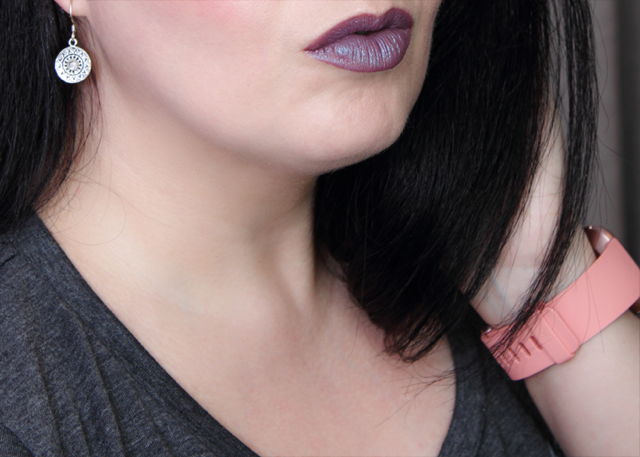 In fact Trinket is easily one of my top 5 favorite lipsticks! So when I saw Pillow Fight I just had to make it mine. I really love their sparkly mattes. They’re so unique! And fun! This coming from someone who hates too much shimmer. Pillow Fight is described as a dusty mauve with purple, silver, and gold sparkles. When I swatched it I didn’t see a whole lot of sparkles. You can probably see a bit if you look really closely. Like my other Sugarpill lipsticks Pillow Fight smells like a creamsicle. I personally love the scent! It applied nicely. 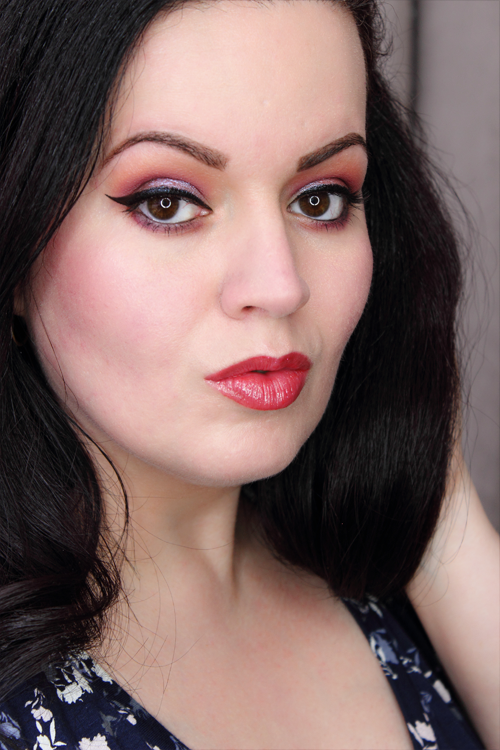 I did find that this shade needed to be layered a bit. But even after the layering I still didn’t see any of those sparkles coming through. 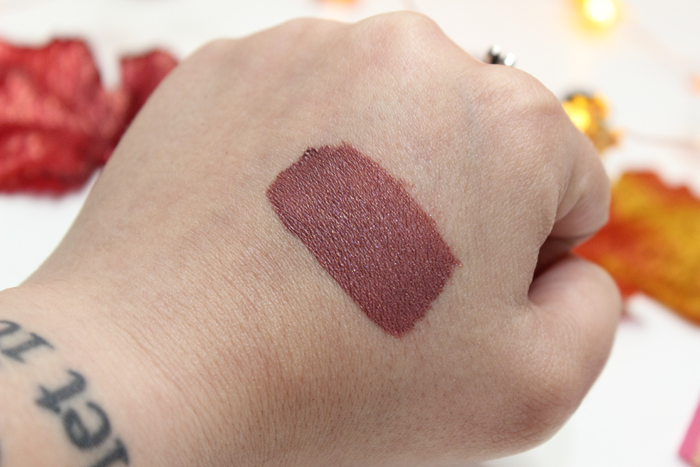 The shade is absolutely gorgeous, but unfortunately for me it doesn’t look a whole lot like the swatches that sold me on the lipstick. I’m not sure if I got a bad batch or what. You can see Pillow Fight in action below. 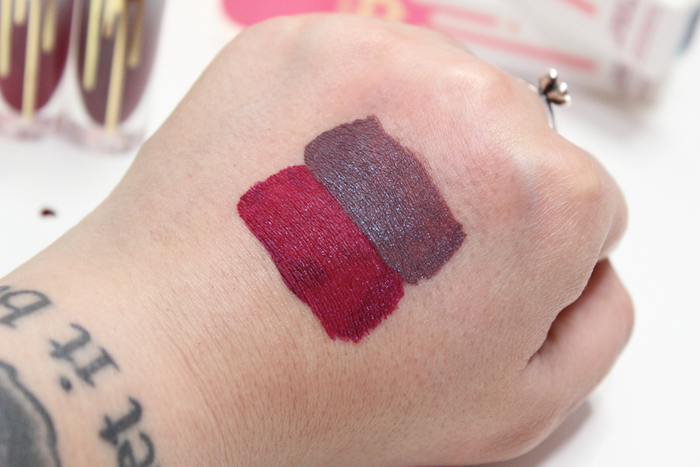 Overall, I have to say that Pillow Fight is just ok. It’s beautiful, but it looks nothing like the swatches that sold me on it. I needed to apply a few layers for the lipstick to even show up. And where are those purple, silver, and gold sparkles? Because I’m not seeing them!